Paris’s Marais district, and in particular the areas around the Metro stations Hotel de Ville and Saint-Paul, is the heart of the City of Light’s thriving lesbian, gay, bisexual and transgender community. And while there are plenty of LGBT shops, bars, restaurants and sight-seeing destinations in this neighborhood, it’s also home to more than a dozen 17th and 18th century mansions, called Hotels de Particuliers, that once served as single-family homes to France’s wealthy aristocrats who wished to live near the king’s official residence at Place des Vosges (before the royal family relocated primarily to Versailles). 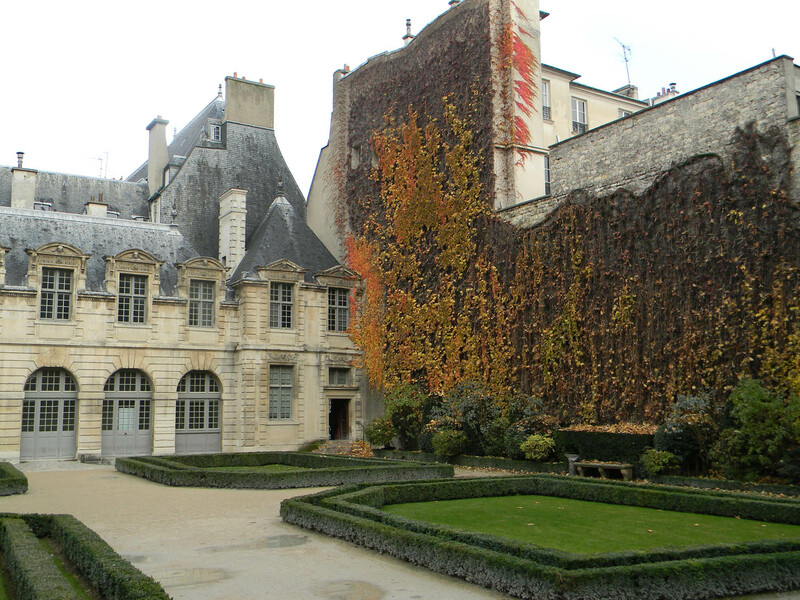 One of the most glorious of these mansions is within steps of the Saint-Paul Metro station and several LGBT destinations–the Hotel de Sully. 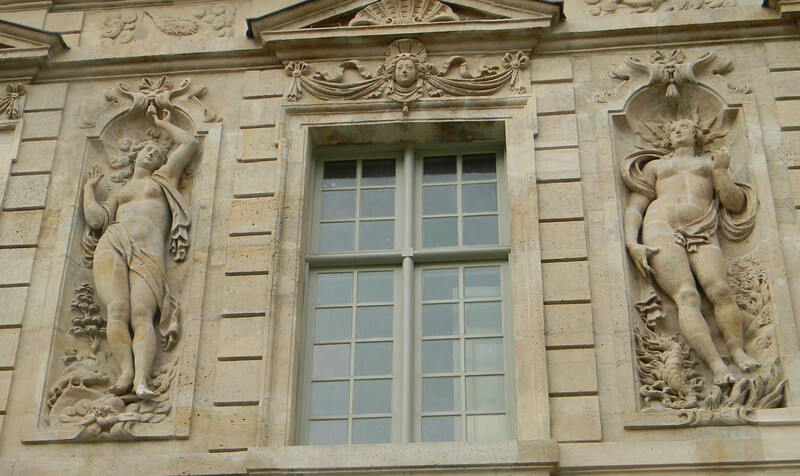 Hotel de Sully was built by architect Jean Androuet du Cerceau between 1625 and 1630, and purchased in 1643 by Maximilien de Bethune,the Duc de Sully, the Superintendent of Finances to King Henry IV. The duke completed interior decoration of the mansion, and installed an orange grove (called an orangerie) on the property. He lived out his life in the home, and the residence remained in his family into the 18th century until France’s aristocracy relocated permanently to Versailles. 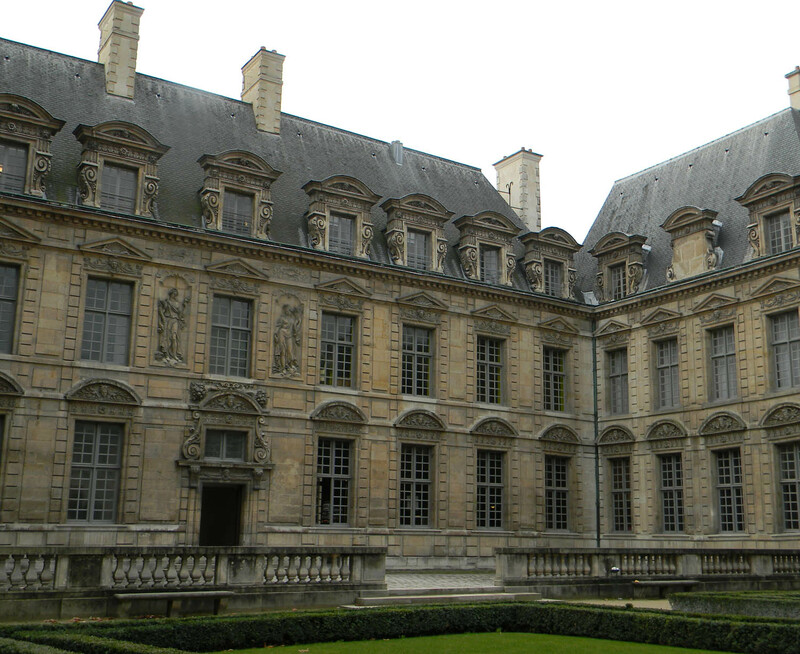 France declared the Hotel de Sully a national historic monument in 1862, and it became a state-owned property in 1944. 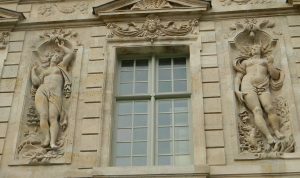 It is now home to the Centre des Monument Nationaux, the agency responsible for the management of Paris’s state-owned buildings and monuments. 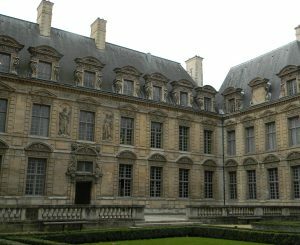 Although the building itself is closed to the public, the courtyards and gardens, which link to the nearby Place de Vosges, are accessible during regular business hours and are free of charge to visit. And it’s a wonderful way to not only get a taste of what Paris was like for the wealthy and privileged in the pre-Revolution years, but also to enjoy a quite respite from the crazy-busy Parisian streets just outside. Seriously, you won’t even know you’re only a few yards away from the always-thronged Rue de Rivoli! 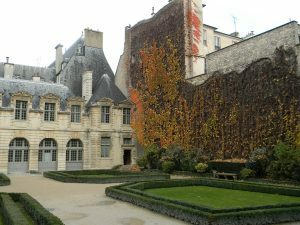 This entry was posted in Beauty of Paris, History of Paris, Marais, Sight-seeing and tagged Hotel de Sully, LGBT Paris, mansions of the Marais, Marais, Right Bank, sight-seeing by Bob Adams. Bookmark the permalink.